Hi guys! 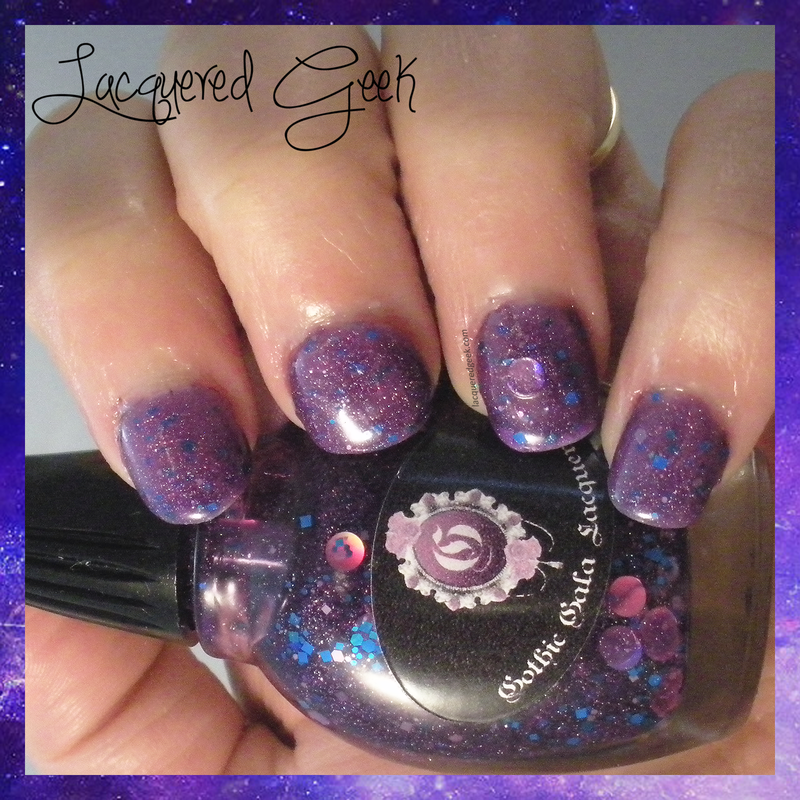 Today I've got a discontinued polish from Gothic Gala Lacquer for you - Cosmo Spacely. I'd never tried Gothic Gala polishes before so this is a new to me brand. Cosmo Spacely is a purple tinted jelly polish with silver microshimmer, blue & white square glitters, and silver and purple circle glitters. The bottle was packed with circle glitters, but despite leaving the polish upside down for over an hour, I could only manage to get one on my nail. I probably fished for that single glitter for more than 15 minutes - my nails were practically dry by the time I "caught' it. I originally thought it was the brush - the one that came in my polish was a little wonky, but even I tried another clean brush and didn't have any better luck. I picked up a few other Gothic Gala Lacquer polishes, so I hope that I have better luck with those. 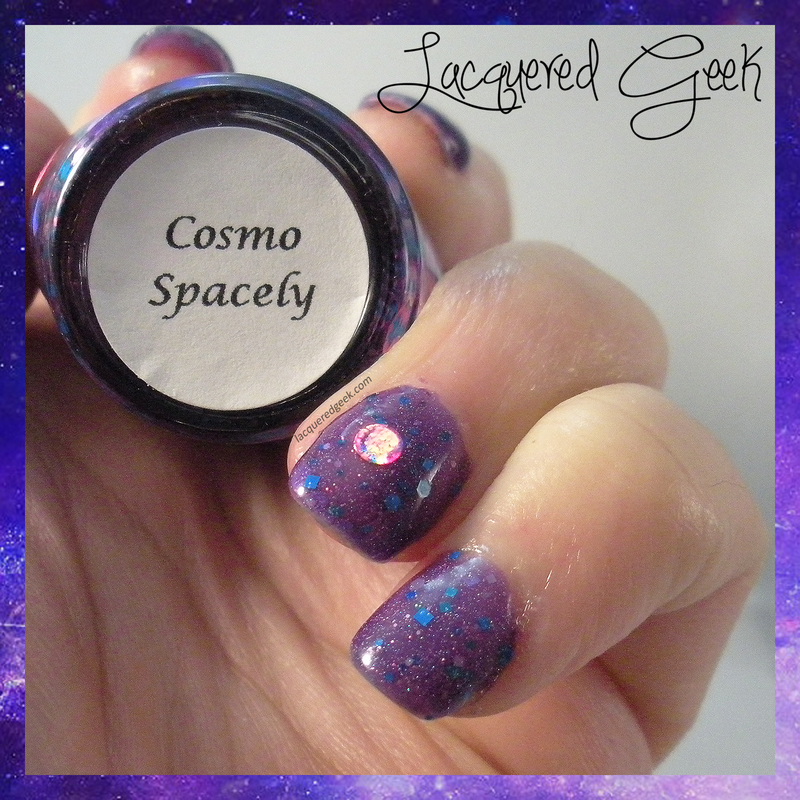 Cosmo Spacely was quite pretty in the bottle; I just wish it would have translated a little easier to my nails. I'm not sure if I'd really pick up any more though, simply because of the bottle tops. I store my polishes in helmers, and the oversized lids, while being unique, are too large for the drawers. 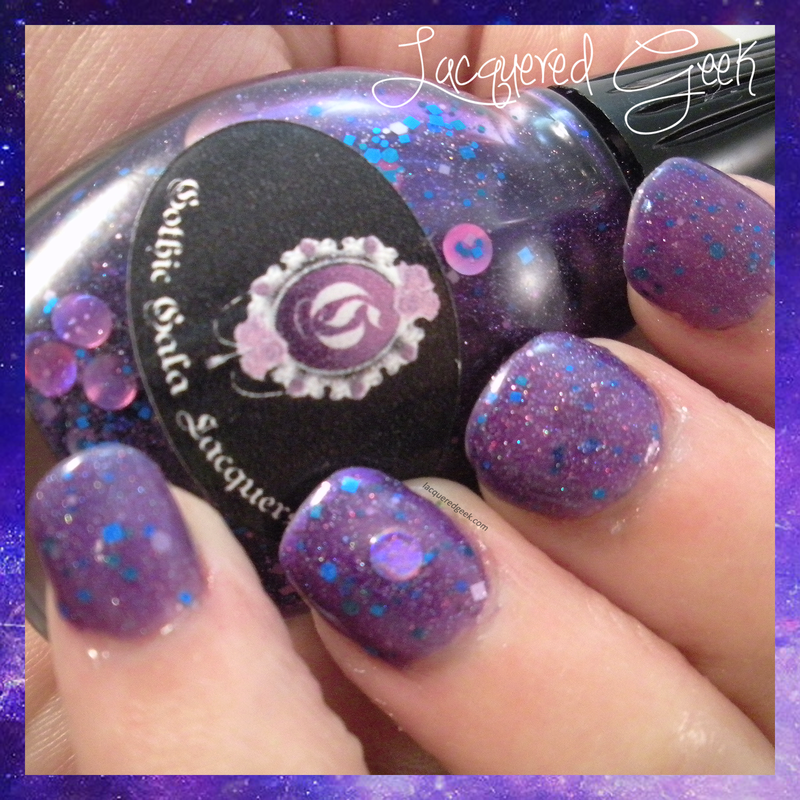 You can purchase Gothic Gala Lacquers from their shop. Prices vary between $6 - $9 each. It's such a shame that this polish was quite a let down :( I see why you would have to "catch" the glitter!